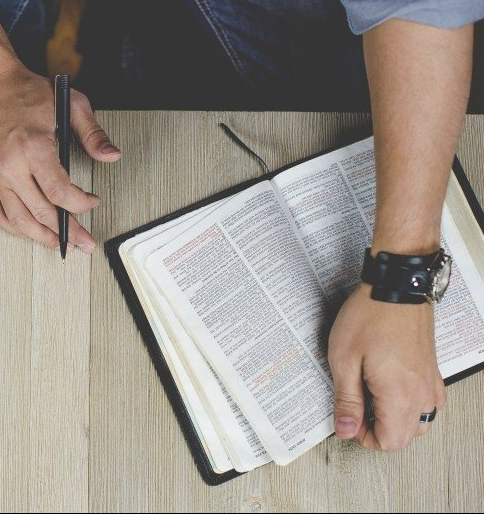 In recent months, much discussion in Christian publications, on blogs and in other forums about the nature and divine inspiration of the Old Testament has caused alarm in some quarters, as well as likely confusion about the Old Testament’s place in the church. 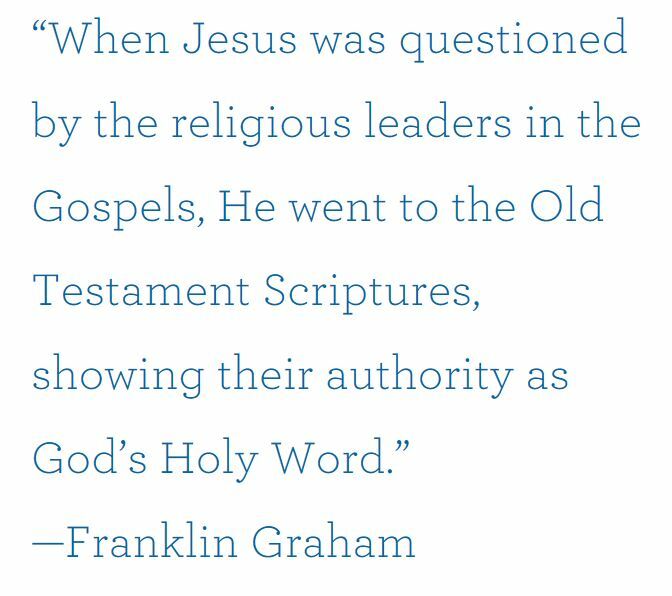 Franklin Graham, as well as a number of pastors and theologians, have sounded warnings over the dangers of such teachings in the church that question the authority of God’s Word and the relevance of the Ten Commandments. “Make no mistake: the Old Testament helps us understand the character and nature of Almighty God so that we can know how to approach Him with reverence and godly fear,” Franklin says. “A whole generation of Israelites wandered in the wilderness because they didn’t obey God and His Word. Every jot and tittle of the Bible—Old Testament and New Testament—is God’s Word, to be believed and obeyed. The “remedies” that some are suggesting for reaching a postmodern society strike at the heart of Scripture in order to try to make the faith more palatable to sinners. Often, the Old Testament is the first thing that gets shuttled. It’s not a new problem. Confusion over the Old Testament goes back at least as far as the second century when Marcion tried to unleash the Old Testament from the New. Liberal theologians have long criticised Old Testament miracles and in recent decades have dismissed Old Testament standards on sexuality to jibe with the sexual revolution. Yet, even among those who would say they believe God’s Word is absolute truth from cover to cover, there seems to be what David Prince, a professor of preaching at Southern Baptist Theological Seminary, has called “a dearth of Old Testament preaching.” Whatever the reasons, the Old Testament isn’t preached as often or as dynamically as it should be. One survey puts it at about 20 percent of sermons arising from the Old Testament, while the Old Testament text accounts for more than 70 percent of the Bible. Far from being impractical or irrelevant, says Walter C. Kaiser Jr., renowned Old Testament scholar and prolific author, the Old Testament is a repository of God’s grace and holiness, telling His grand story of redemption for sinners through justifying faith. Jesus Himself, Kaiser notes, chose the vast expanse of the Old Testament to ground His disciples in the Gospel message. To do less for modern believers grappling with the mystery of the Gospel is malpractice, Kaiser says. Kaiser says the church “floats in the air and has no roots unless it is attached through faith” to Israel’s Messiah and “grafted in” to the Olive Tree of Israel. Much has been made about the Hebrew law, with its ceremonial regulations, and even the moral components of the law, which Romans 2 says are written on the conscience of humans who have never known the Scripture. Yet homosexual activists, liberal theologians and a few reckless pastors have made erroneous statements about the law and its relationship to Christians today. Heitzig emphasises Jesus’ statement that He came not to abolish the law but to fulfil it. “Jesus went on to say, ‘Therefore whoever relaxes one of the least of these commandments and teaches others to do the same will be called least in the kingdom of heaven’” (Matthew 5:19). Dismissing the Old Testament’s moral commands “marginalises” the Old Testament Scriptures “and robs them of their contextual power,” Heitzig says. Some have even argued that the Ten Commandments have no authority under the new covenant. Quite the contrary, says Jack Graham, pastor of Prestonwood Baptist Church in Plano, Texas, who believes the Ten Commandments should be taught and memorised as a moral foundation for Christian living. It is noteworthy, Graham says, that each commandment is repeated in the New Testament. Laurie points out that the Lord took the commandments against murder and adultery and applied the same standard to murderous thoughts or adulterous desires—issues of the heart and mind to which very few are guiltless. “The early church understood that the commandments and the law in general were given to drive us to Jesus,” Laurie added. “As Paul writes in Galatians 3:24, ‘Let me put it another way. The law was our guardian until Christ came; it protected us until we could be made right with God through faith’” (NLT). Kaiser, the Old Testament scholar, says it is crucial to understand that the Ten Commandments were given in grace and in the context of remembrance. Among some liberal theologians and some in the gay movement, prohibitions about the mixing of linen and wool (Leviticus 19:19 and Deuteronomy 22:11) or dietary restrictions about shellfish have been equated with laws regulating human sexuality. Since one is no longer required for believers, neither is the other, the reasoning goes. Kaiser points to a hermeneutic for those who wish to separate truth from error on such questions in the New Testament age. The works of God include His ordering of male and female. As Graham notes, “God judged Sodom and Gomorrah in Genesis 19, and specifically the sin of homosexuality, before the law was given. Therefore, we know that God judges this sin, as it predates the giving of the Ten Commandments or the law. One of the storied American pastors of the 20th century, W.A. Criswell, described the grand narrative of redemption for sinners as a “scarlet thread” woven through the Bible, red with the blood of Christ beginning with the symbolic covering of the man and woman after their sin in Genesis 3:21, all the way to the multitude of souls found written in the Lamb’s Book of Life in Revelation. Wilton emphasises that the end of the Bible points back to the beginning, with recreated men and women, once fallen, now living with God in a perfect state once again. 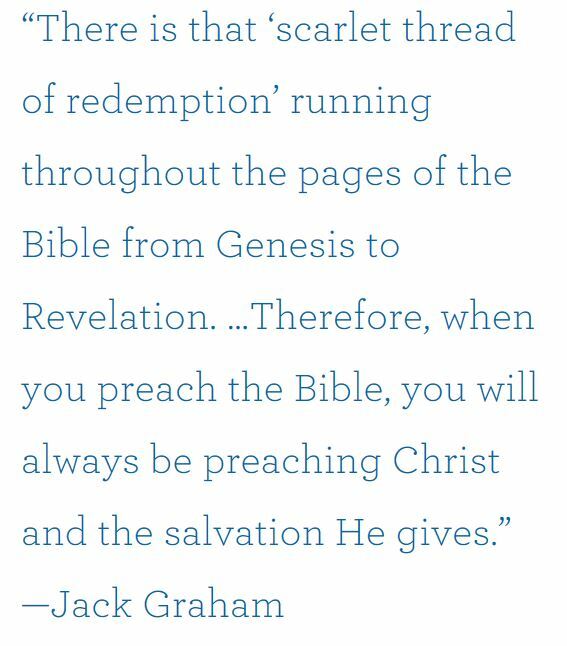 Whether in the Old Testament or New Testament, the preacher should always exalt Christ and the message of redemption, Jack Graham says. As with New Testament believers, Old Testament saints were justified through faith in the God who promised a coming Saviour. Kaiser says one of the most beautiful evangelistic stories in Scripture is the Old Testament story of Naaman, in 2 Kings 5. A trusted soldier of King Aram, Naaman, stricken with leprosy, goes with permission to the Israelite king and to the Prophet Elisha on the bold advice of a little Hebrew girl who had been taken captive. Unless otherwise noted, Scripture quotations are taken from The Holy Bible, English Standard Version. Scripture quotations marked NLT are taken from The Holy Bible, New Living Translation.